Who doesn’t love winning? And winning something from a brand you love? That’s icing on the cake. Contests and giveaways have proven to be effective promotional strategies for decades, dating back to the ancient days of the local mom and pop shops. Remember the days when you would optimistically place your business card in the glass bowl sitting near the cash register at your favorite coffee or sandwich shop in hopes of winning a free meal? Today’s “glass bowls” have simply been replaced with intriguing graphics and widespread communication provided largely by social media. As a business owner, much of your time is likely spent navigating through the pressures of acquiring new followers while maintaining continuous interactions with your current consumers. This challenge can easily be achieved with online contests and giveaways, making them a win-win for everyone. Not only do they bring out everyone’s competitive nature (resulting in someone winning a prize! ), they provide engaging content that furthers your company’s brand and strengthens consumer loyalty. They also encourage consumer conversation and provide invaluable research to use in developing future marketing strategies. There are multiple tools you can use to create and set up a contest or giveaway on your blog, website, or various social media platforms. Below are a few options to consider, but keep in mind that there are countless others you might find useful. Giveaway Tools: This is completely free, making it a great program to experiment with. Because you aren’t paying, however, it likely won’t offer as many useful options (i.e. tracking or downloading emails) as other websites will. 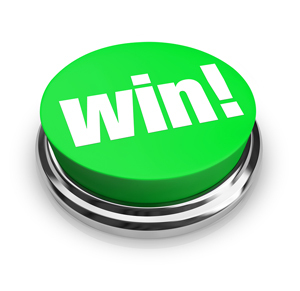 PromoSimple: This program lets new users apply built-in options or create their own customized contests. It also lets you view tracking reports and export your data. Rafflecopter: Allows you to create customized contests and giveaways (no coding required!) that can be hosted on your blog or other social media platforms. Splugy: Provides the option of hosting your contest/giveaway on multiple platforms and websites. You also have the ability to track users and create customized messages for your consumers. When creating your contest or giveaway, strive to have a specific goal (i.e. increasing subscribers, improving brand awareness, etc.). Try not to become distracted by other things you want to achieve; that can wait for another contest or giveaway. In addition to using your website and blog to advertise your contest/giveaway, be sure to incorporate multiple outlets (Instagram, Facebook, LinkedIn, Twitter, Tumblr, etc.) to gain traction. Requiring users to “re-post” your content in order to enter the contest will promote your contest to a larger audience and establish user-generated content. Include an “opt-in” option, so you can continue to develop your database of interested consumers. This will also help you track the results of your contest and see its overall success. Make your contest easy to share. Create fun icons for the social media you’re incorporating and post these on your website and/or blog to ensure that users can share your content with one click. Consider your prize carefully. Not only should it appeal to the interests of your consumers, it should specifically relate to your brand. Additionally, the prize should be fairly inexpensive while still holding significant value for consumers. This will ensure that your contest won’t break the bank or make your company look cheap. A promotional partner can also be useful in keeping costs down and further advertising your contest/giveaway. Don’t forget the details, as there are many, and it’s easy to overlook them. Review national and local laws as well as any rules and regulations that various social media outlets have to make sure you’re in compliance. Always keep your audience in focus, and strive to align all marketing with your overall brand. Promote, promote, promote! Your audience not only needs to know about the contest, but they need motivation to participate. Emails are highly effective, as are creative status updates with photos and videos that will generate hype. Have a post-contest plan. Follow up with everyone who participated, and be sure to announce the winner. This is also a great opportunity to inform followers about any upcoming contests/giveaways or any special deals related to this contest. Bottom Line: A perfectly executed online contest or giveaway is a low-cost incentive that boosts customer loyalty, generates new interest and furthers your company’s brand, all of which are invaluable. It’s a win-win for your customers and your business. And everyone loves a winner.